Do you dream of traveling the USA, but feel like you need to wait until retirement? Did you know there are many full-time RV living families who decided not to wait? Yet, they started out wondering how they could become a full-time RV living family. If you think that you would like to join them and become a full-time RVing family, then keep on reading. We want to help you make that dream come true! There are many families that decide to start full-time RV living with kids and here we going to go into some of our top tips here. First, can you live in an RV? Yes, you really can! Although, you do need to have a legal mailing address and pay taxes to a particular state. Yet, you absolutely can live and travel in an RV with your kids! Many of our members join Escapees with their first year of their Fulltime Families membership, which is FREE when they join Fulltime Families. As an Escapees member, you can join their mailing service and pay a small fee each month to have all of your mail delivered to an address that is assigned to you. Then you pay taxes in that state and have your mail forwarded to the campgrounds that you stay at. How does a family live in an RV? How does a family of 3, let alone a family of 8, live in an RV and fit? Well, most of our members will agree that there is an adjustment period. Yet, we’ve all made it work! It’s all about the mindset. Living in a small house on wheels often means taking on a minimalist lifestyle. Buy only the things you need to live in an RV and find ways to live simply. Do you really need 20 sweatshirts for one member of your family when trying to live the RV life? Think about living with the least amount of ‘stuff’ as possible, and then donate even more. What’s the best RV to buy? Deciding on your family RV is different for everyone. Many Fulltime Families members travel and live in a fifth-wheel. Yet, others have found a travel trailer, Class C motorhome or Class A motorhome to work well for their family. What type of RV is best will vary based on family size, traveling preference, whether you want to move right in or individualize, and much more. If you want more help deciding which is best for your family, we recommend this course by Less Junk, More Journey. What is the cost of RV living? This is a tough one. We have members who get by on very little income, while others spend quite a bit to live the RV lifestyle they want. In short, anywhere from $2,000 to $6,000 per month could be argued as ‘needed’ to be a full-time RV family. 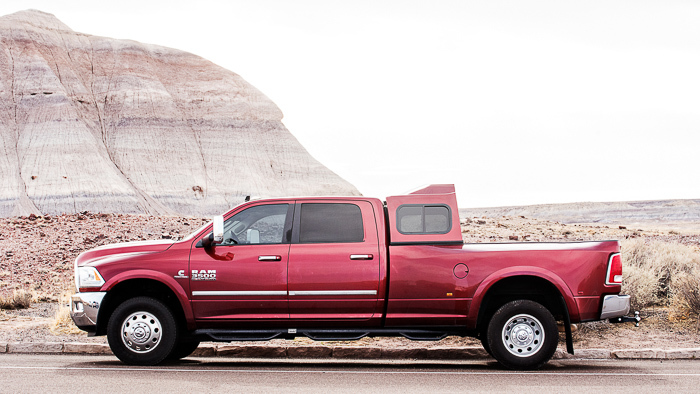 You will need to figure in the cost of a truck and camper, or a motorhome and a vehicle to tow. There are expenses such as campground fees, gas, activities, and national park passes. Click here to read more about creating a budget for RV living. How do you earn money while traveling? 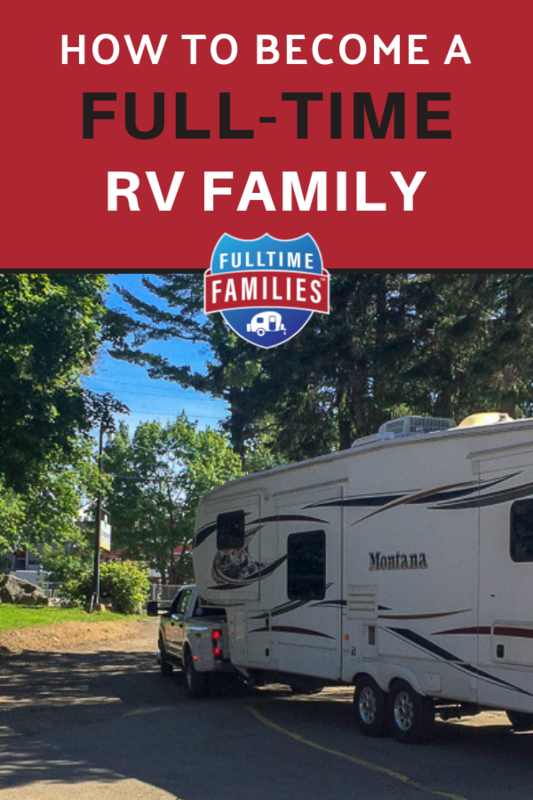 There are many ways that full time RVing families earn money on the road. Start by thinking about what skills you have that can be translated into a remote or work-from-home job? Our members have a variety of jobs. Some work remotely online, while others work on site at a location for a period of time and then move according to their job. We have members that take on short-term jobs at places like the Amazon Campforce, theme parks, or retail work. There are full-time RVing families that earn money from renting out their homes on Airbnb, and others that trade their labor for free camping by workcamping. Members of our main Facebook group have access to a file listing income sources for many families. How can we keep our RV living costs down? A great way to keep your RV costs down is to minimize campground expenses and spending at each new location. 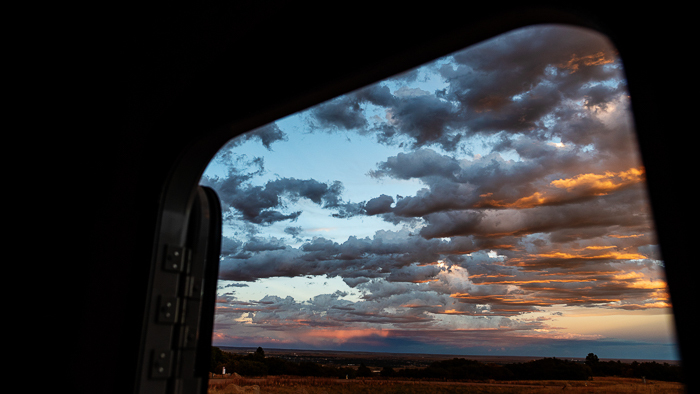 To learn all about the top camping memberships, check out our blog post on Which RV Membership is Right for You as well as an in-depth explanation of Thousand Trails. 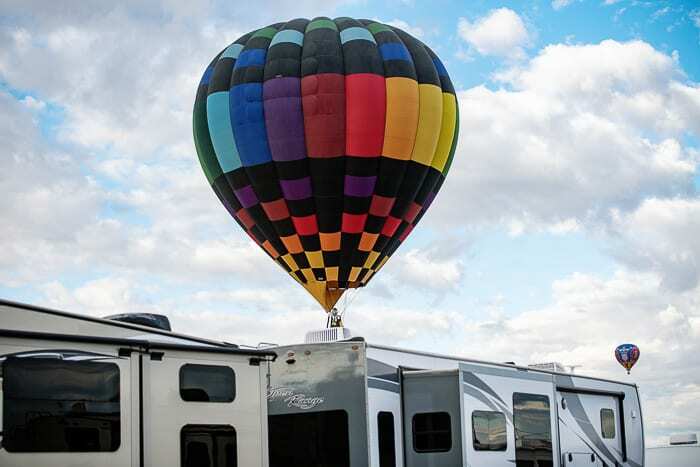 Most RV parks offer weekly and monthly rates, which provide savings over daily rates. 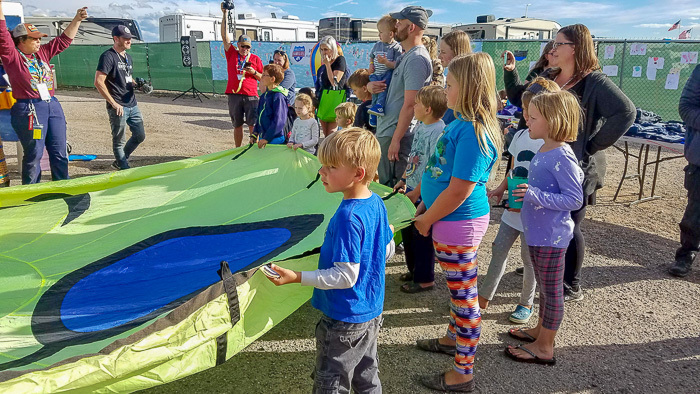 While some private RV parks charge extra fees for more than 2 adults, Fulltime Families members get those fees waived at our Family Friendly Campgrounds. State and National Parks are less expensive than private RV parks, but often don’t have all the amenities such as water, electric, and sewer hookups at your campsite. Boondocking, or dry camping, is another option. It often entails staying for free generally with no hook-ups, but often with more space and better views than RV parks provide. 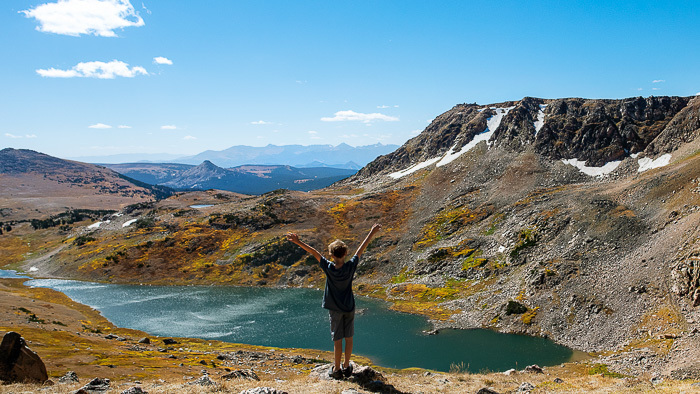 Most Fulltime Families teach their kids through Roadschooling, a form of homeschooling that takes advantage of the opportunities presented by traveling. Many zoos, museums and science centers are part of one or more reciprocal programs. Fulltime Families provides Roadschool Guides for a variety of educational attractions. Our guides include a review, visiting tips, supplemental materials, things to do and discuss nearby attractions to visit and more. When we say most, we don’t mean ALL members roadschool. Some families register their children to online school programs, follow a specific curriculum, or unschool their children. The best place to find out more about what each family recommends is to connect with other families in our private roadschooling facebook group. You receive access to this group with your membership to Fulltime Families. How do you make friends on the road? 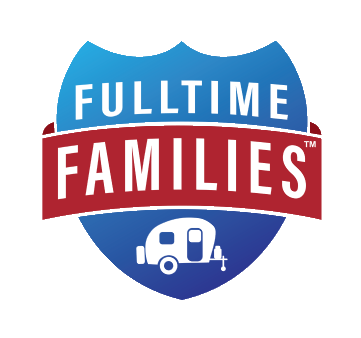 One of the primary missions of Fulltime Families is to provide a community for full-time RV living families. As a member, you have access to the many private Facebook groups, branches, and future events. Many families plan their travel around meeting up with friends or spending a season, often winter, in one location with other families. We offer several events throughout the year and across the country, from week-long rallies or weekend hangouts to one-day field trips. Are you ready to hit the road but want some additional help? 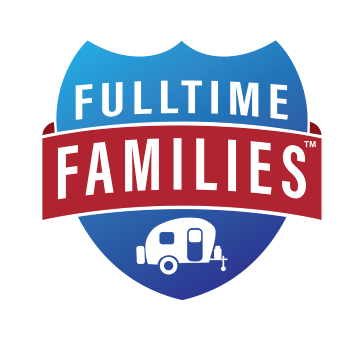 If you are new to RV living with kids or haven’t even launched yet, then be sure join Fulltime Families! You get access to our many members’s only Facebook Groups, the ability to register for our rallies, hangouts and field trips throughout the year across North America and a community of like-minded friends waiting for you.